A local accounting and consulting firm providing professional services to the Greater Sacramento area. Our firm has developed expertise in providing accounting services to a wide variety of nonprofit organizations, and we dedicate resources and efforts to serving this industry. 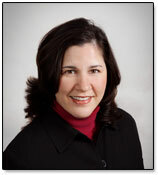 At Denise M. Tebbs, CPA, our goal is to provide you with courteous and timely professional services. If you have questions, please email info@denisetebbscpa.com or call us at 916.813.1829. Focus on your clients and leave the accounting to us!